12th Planet -  An epic journey of new discovery so fantastic that our natural instinct would be to block it out. The 12th Planet. Is it Reality or Myth? The existence of Nibiru or Planet X as it is often called, is fueled by much anticipation and clues found in ancient mythology and more recently with reported sightings, new evidence and previously undisclosed archives being made public. The planet Nibiru was described in a series of books by Zecharia Sitchin, after he studied the mythological writings of the ancient Sumerians. Sumerian mythology tells of a planet that comes near to Earth once every 3,600 years on an extremely long orbit around our sun. More recently Planet Nibiru has also come to be called Planet X, or The Twelfth Planet by Astronomers or Astrophysicists. 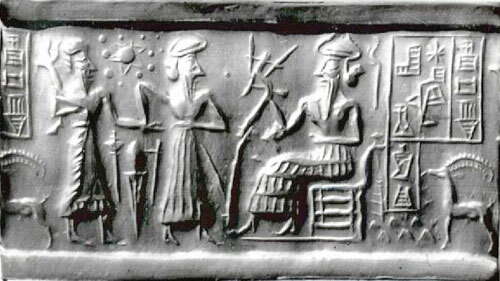 Some people believe that, as Sitchin’s writings tell, the planet Nibiru was populated by a race of beings called the Anunnaki, who genetically manipulated mankind and created man as we are today. "This book suggests that we are not alone in the solar system. Yet it may enhance rather than diminish the faith in a universal Almighty for, if the Nefilim created Man on Earth, they may have only been fulfilling a vaster Master Plan"
"The suggestions that Earth was visited by intelligent beings from elsewhere postulates the existence of another celestial body upon which intelligent beings established a civilization more advanced than ours. "....The Sumerians accepted the existence of such a "Heavenly Abode," a "pure place," a "primeval abode." While Enlil, Enki, and Ninhursag went to Earth and made their home upon it, their father Anu remained in the Heavenly Abode as its ruler. "....The Gods of Heaven and Earth of the ancient Near East not only originated in the heavens but could also return to the Heavenly Abode. Anu occasionally came down to Earth on state visits; Ishtar went back to Anu at least twice. Enlil’s center in Nippur was equipped as a "bond-heaven-earth." Shamash was in charge of the Eagles and the launching place of the rocket ships. Gilgamesh went up to the Place of Eternity and returned to Uruk; Adapa, too, made the trip and came back to tell about it; so did the biblical king of Tyre. "Realizing that such two-way travel between Earth and the Heavenly Abode was both contemplated and practiced, the people of Sumer did not exile their gods to distant galaxies. TheAbode of the Gods, their legacy discloses, was within our own solar system. "....An Assyrian depiction of the Gateway of Anu in the Heavenly Abode confirms ancient familiarity with a celestial system such as our Sun and its planets. The Gateway is flanked by two Eagles - indicating that their services are needed to reach the Heavenly Abode. The Winged Globe - the supreme divine emblem - marks the gateway. It is flanked by the celestial symbols of the number seven and the crescent, representing (we believe) Anu flanked by Enlil and Enki. "Where are the celestial bodies represented by these symbols? Where is the Heavenly Abode? The ancient artist answers with yet another depiction, that of a large celestial deity extending its rays to eleven smaller celestial bodies encircling it. It is a representation of a Sun, orbited by eleven planets. "That this was not an isolated representation can be shown by reproducing other depictions on cylinder seals, like the one from the Berlin Museum of the Ancient Near East. "....Now there is, of course, a catch to claiming that these depictions - of a Sun and eleven planets - represent our solar system, for our scholars tell us that the planetary system of which Earth is a part comprises the Sun, Earth and Moon, Mercury, Venus, Mars, Jupiter, Saturn, Uranus, Neptune, and Pluto. This adds up to the Sun and only ten planets (when the Moon is counted as one). "But that is not what the Sumerians said. They claimed that our system was made up of the Sun and eleven planets (counting the Moon), and held steadfastly to the opinion that, in addition to the planets known to us today, there has been a twelfth member of the solar system - the home planet of the Nefilim. "We shall call it the Twelfth Planet. Uranus was discovered in 1781, Neptune in 1846 and Pluto in 1930. "....Up to 1870, then, and for centuries before that, people believed there were seven members of our solar system: Sun, Moon, Mercury, Venus, Mars, Jupiter, Saturn. 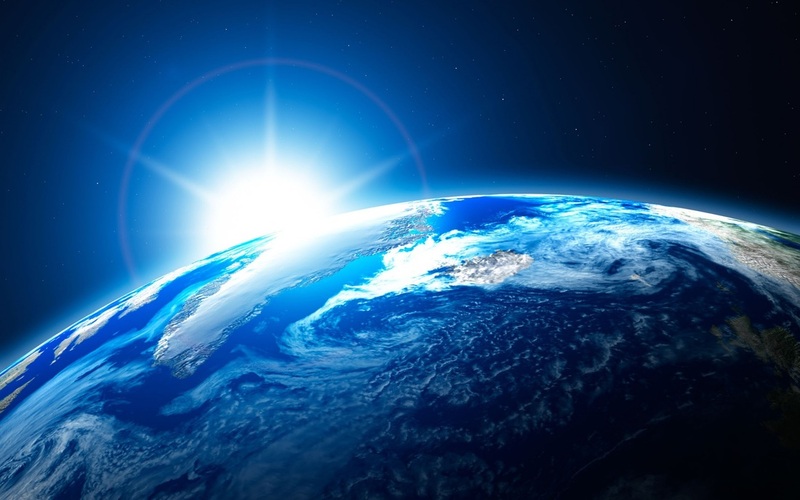 Earth was not counted as planet because it was believed that these other celestial bodies circled Earth - the most important celestial body created by God, with God’s most important creation, Man, upon it. "Our textbooks generally credit Nicolaus Copernicus with the discovery that Earth is only one of several planets in a heliocentric (Sun-centered) system. Fearing the wrath of the Christian church for challenging Earth central position, Copernicus published his study (De revolutionibus orbium coelestium) only when on his deathbed, in 1543." "....The heliocentric concept was only rediscovered by Copernicus; and the interesting fact is that astronomers knew more in 500 B.C. than in 500 A.D. and 1500. "Indeed, scholars are now hard put to explain why first the later Greeks and then the Romans assumed that Earth was flat, rising above a layer of murky waters below which there lay Hadesor "Hell," when some of the evidence left by Greek astronomers from earlier times indicates that they knew otherwise." "....Hipparchus, in fact, confirmed in his writings that his studies were based on knowledge accumulated and verified over many millennia. He named as his mentors "Babylonian astronomers of Erech, Borsippa, and Babylon." Geminus of Rhodes named the "Chaldeans" (the ancient Babylonians) as the discoverers of the exact motions of the Moon. The historianDiodorus Siculus, writing in the first century B.C. confirmed the exactness of Mesopotamian astronomy; he stated that "the Chaldeans named the planets ... in the center of their system was the Sun, the greatest light, of which the planets were ’offspring,’ reflecting the Sun’s position and shine." "The acknowledged source of Greek astronomical knowledge was, then, Chaldea; invariable, those earlier Chaldeans possessed greater and more accurate knowledge than the peoples that followed them. For generations, throughout the ancient world, the name "Chaldean" was synonymous with "stargazers," "astronomers." "....Knowledge of the zodiac, the scientific division of the heavens, and other astronomical information was thus prevalent in the ancient Near East well before the days of ancient Greece. "....Many such later texts were, to be sure, more astrological than astronomical in nature. The heavens and the movements of the heavenly bodies appeared to be a prime preoccupation of mighty kings, temple priests, and the people of the land in general; the purpose of the stargazing seemed to be to find in the heavens an answer to the course of affairs on Earth: war, peace, abundance, famine. "....The heliacal system - the system still in use today, which measures the rising and the setting of stars and planets in Earth’s skies relative to the Sun. Mr. Sitchin also explains how the ancients used the ephemeredes (tables that listed and predicted the future positions of the celestial bodies). "....The unearthing of the Mesopotamian civilizations in the past one hundred years leaves no doubt that in the field of astronomy, as in so many others, the roots of our knowledge lie deep in Mesopotamia. In this field, too, we draw upon and continue the heritage of Sumer." "....The Babylonians and the Assyrians did not invent the calendar or the ingenious methods for its calculation. Their calendars - as well as our own - originated in Sumer. There the scholars have found a calendar, in use from the very earlier times, that is the basis for all other later calendars. The principal calendar and model was the calendar of Nippur, the seat and center ofEnlil. Our present-day one is modeled on that Nippurian calendar. "The Sumerians consider the New Year to begin at the exact moment when the Sun crossed the Spring equinox. Professor Stephen Langdon (Tablets from the Archives of Drenhem) found that records left by Dungi, a ruler of Ur circa 2400 B.C., show that the Nippurian calendar selected a certain celestial body by whose setting against the sunset it was possible to determine the exact moment of the New Year’s arrival. This, he concluded, was done "perhaps 2,000 years before the era of Dungi" - that is, circa 4400 B.C.! "....The Akkadian, Hurrian, Hittite, and other literary masterpieces of the ancient Near East, being translations or versions of Sumerian originals, were replete with Sumerian loanwords pertaining to celestial bodies and phenomena. 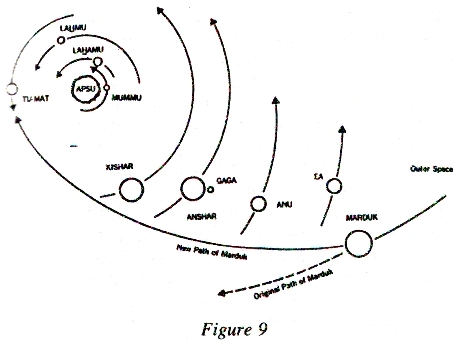 Mr. Sitchin gives many technical details of the ancients about astronomy. Also quotes scholars and their research into the matter. The constellations being of great importance to the ancients of Sumeria and beyond. "....Because the constellations and their subdivisions, and even individual stars within the constellations, have reached the Western civilization with names and descriptions borrowed heavily from Greek mythology, the Western world tended for nearly two millennia to credit the Greek for this achievement. But it is now apparent that the early Greek astronomers merely adopted into their language and mythology a ready-made astronomy obtained by the Sumerians. 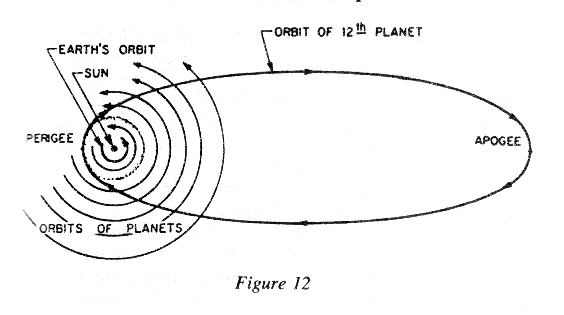 Several graphics in relation with the Zodiac are given in the book "The 12th Planet." "....Just as it is evident that the Sumerian astronomers possessed knowledge that they could not possibly have acquired on their own, so is there evidence to show that a good deal of their knowledge was of no practical use to them. "This pertains not only to the very sophisticated astronomical methods that were used - who in ancient Sumer really needed to establish a celestial equator, for example? - but also to a variety of elaborate texts that dealt with the measurement of distances between stars. Second: in terms of degrees of the arc of the skies. Third: in terms of the "length in the skies." "....The availability of three different methods of measuring distances between stars conveys the great importance attached to the matter. Yet, who among the men and women of Sumerneeded such knowledge - and who among them could devise the methods and accurately use them? The only possible answer is : The Nefilim had the knowledge and the need for such accurate measurements. "Capable of space travel, arriving on Earth from another planet, roaming Earth’s skies - they were the only ones who could, and did, possess at the dawn of Mankind’s civilization the astronomical knowledge that required millennia to develop, the sophisticated methods and mathematics and concepts for an advance astronomy and the need to teach human scribes to copy and record meticulously table upon table of distances in the heavens, order of stars and groups of stars, heliacal risings and settings, a complex Sun-Moon calendar, and the rest of the remarkable knowledge of both Heaven and Earth. Reviewing several other scholars and the Sumerian texts, it is conclusive that the number twelve was of great significance to Sumerians and the Nefilim. The number of its celestial bodies is twelve. The stations of its celestial bodies twelve. The complete months of the Moon is twelve. "....We can now grasp the significance of the number twelve in the ancient world. The Great Circle of Sumerian gods, and of all Olympian gods thereafter, comprised exactly twelve; younger gods could join this circle only if older gods retired. Likewise, a vacancy had to be filled to retain the divine number twelve. The principal celestial circle, the way of the Sun with its twelve members, set the pattern, according to which each other celestial band was divided into twelve segments or was allocated twelve principal celestial bodies. Accordingly there were twelve months in a year, twelve double-hours in a day. Each division of Sumer was assigned twelve celestial bodies as a measure of good luck. "Twelve Greek Titans, twelve Tribes of Israel, twelve parts of the magical breastplate of the Israelite High Priest.... Twelve Apostles of Jesus, and in our decimal system we count one to twelve, and only after twelve we return to "ten and three" (thirteen) and so on.